Hey y'all. 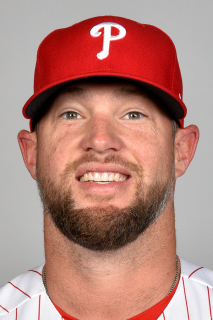 Bud Norris here. The TMS guys asked me to rank my favorite types of lettuce. I can never say no to talkin' 'bout lettuce, so here you go. 5. Romaine - Not very good, but if you throw the green out and just eat the whites then it's OK I guess. My aunt used to cook up a romaine casserole with the white parts, cashews, and French's yellow mustard. That takes me back. 4. That Stuff in the Cold Slaw - I don't know how they do that cold slaw stuff. Some magic I guess. Anyway, if you find you need some lettuce and can only find cold slaw, you can rinse the white stuff off and just munch of the lettucy thing. I don't eat them carrots neither. 3. Kale Chips Soaked in Milk - Kale kinda looks like lettuce, but I don't know. I'm not science guy. I was tellin' my teammates though how I like to buy the Kale Chips down at the Trader Joe and soak 'em in milk. That puts the water back in it and it tastes super close to iceberg. 2. Iceberg in the Sack - When you can't get the real deal, the iceberg in the sack will do fine. I can't eat it like an apple though so it's always gonna be my number 2. 1. Fresh Iceberg - You could put this on anything. Sandwiches, chicken tenders, what have you. Me? I don't think it needs nothin'. I just put the entire head in my lunch pail and munch away when I need a quick pick me up.